If you want to take part in a night of exquisite wine and food, then Wine & Wishes is for you. March 23 is the 13th Annual Wine & Wishes event, hosted by Make-A-Wish Metro and Western New York. 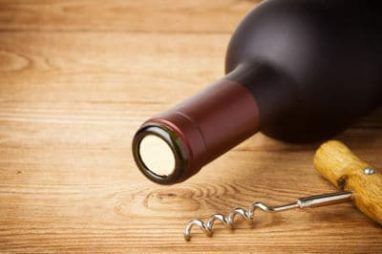 At Wine & Wishes, you’ll enjoy a delightful evening of fine wines, desserts, and silent and live auctions, with earned proceeds benefiting Make-A-Wish Metro and Western New York. The Wine & Wishes Tasting and Auction has raised more than $7 million since its inception. This has helped to grant the wishes of more than 800 children with critical illnesses who reside in cities like the Bronx, Brooklyn, Queens, Manhattan, Staten Island, Rochester, and Buffalo. Don’t miss out on this exciting event on March 25. Purchase your general event tickets today for $275 or $1,500 for VIP tickets. VIP tickets include access to Coveted Corks, which is a private wine tasting and culinary sampling with wines from around the world paired with cuisine prepared by some of New York City’s most exquisite chefs. The event will be held at Pier Sixty, Chelsea Piers (23rd Street and Hudson River) and will begin at 6 p.m. with General and VIP Tastings and the Silent Auction. The Live Auction will begin at 8 p.m. and desserts will be served from 9:15 until 10 p.m., when the event will conclude. Purchase your tickets today! Whether or not you can attend the 12th Annual Wine and Wishes Tasting & Auction, please consider becoming an event sponsor. Sponsorship opportunities include Angel’s Share ($3,500), Estate ($5,000), Cuvee ($10,000), Reserve ($20,000), or Grand Cru ($50,000). If wine tastings aren’t your thing, you can still help Make-A-Wish Metro and Western New York grant wishes for local children. Donate your car, truck, motorcycle, boat, or camper to Wheels For Wishes and your donation will benefit Make-A-Wish Metro and Western New York, helping to bring hope, strength, and joy back into the lives of children in your community. Make a difference in the lives of local children through car donation. To make your tax deductible vehicle donation, please call 1-877-431-9474 or make your donation online using our car donation form. Receive free pick up or towing of your vehicle, whether the vehicle runs or not. Wheels For Wishes accepts most makes and models of vehicles, but if you have any questions regarding your vehicle donation, don’t hesitate to ask. Donate your vehicle today to make wishes come true!